Imagine yourself four years from now admiring a bachelor’s degree diploma in one frame and a master’s diploma in the other. Now imagine yourself fully prepared for wherever your career takes you. 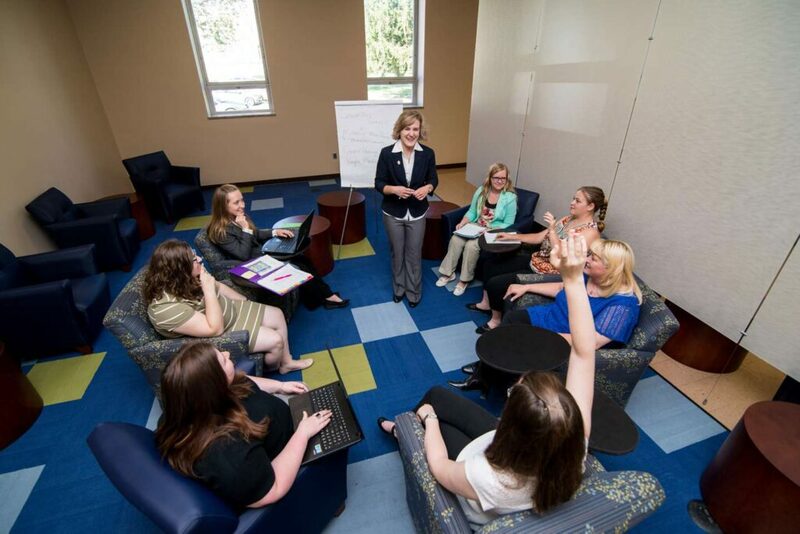 3+1 is an accelerated program combining three years of undergraduate study in accounting, business administration, human resource management or marketing, with one year in SMWC’s distinguished Master of Leadership Development (MLD) program. You no longer need to imagine. You can make this a reality. Hit the job market sooner, with greater career opportunities. Take the fast track to professional success. Completing an exclusive honors undergraduate curriculum. Interacting with current graduate students in workshops and presentations. Networking with leading business professionals. Transitioning seamlessly into our MLD program without taking the Graduate Record Examination (GRE). Taking online summer courses, with limited time on campus. Specialized internship and experiential learning opportunities.